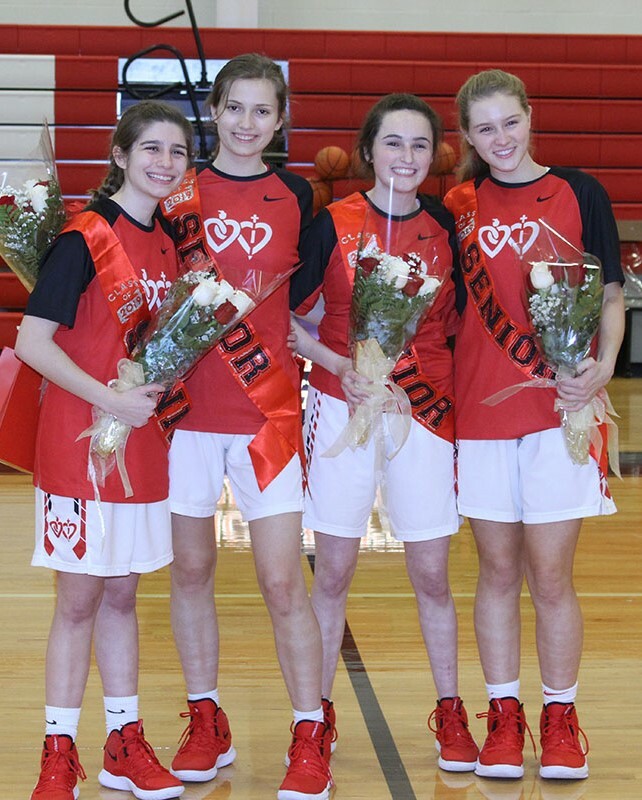 The varsity basketball team hosted their final home game of the season on February 7. 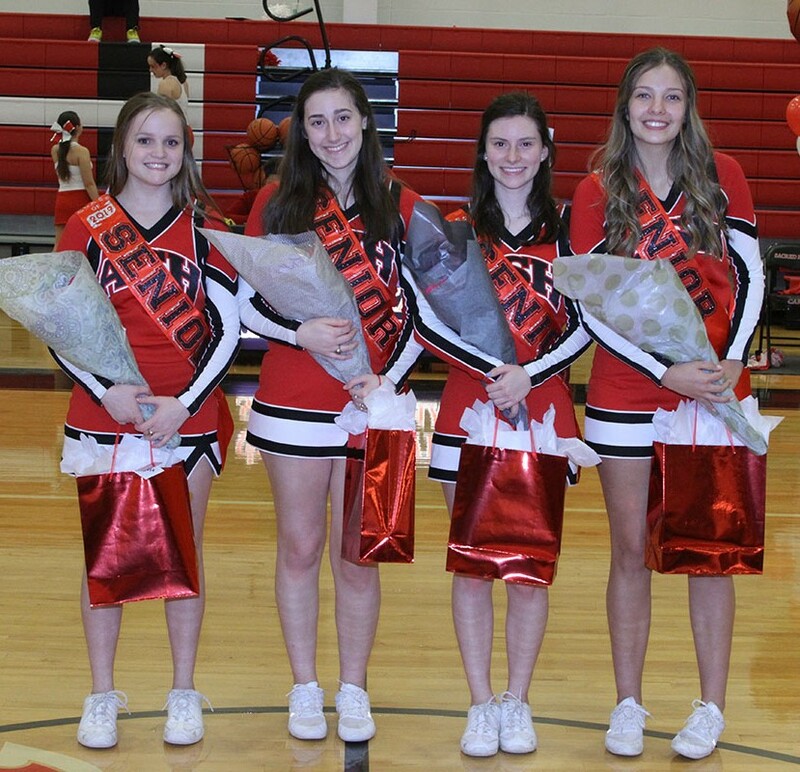 Before the game, the basketball team honored their four dedicated seniors, Bella Ciaccio '19, Kate Ellis '19, Eva Fenasci '19, and Gabriella Mehaffie '19, for their success and commitment to the basketball program. The Cardinals hosted Pope John Paul II for what turned out to be a nail-biter of a game. The Cardinals started out slow and found themselves down 0-7 in the first few minutes of the game. After they worked out their jitters, they began to find a rhythm. Their second quarter efforts were much better as they outscored Pope John Paul 8-1 and found themselves tied with the Jaguars at halftime. The Cardinals led by two points with eight minutes to play. However, a Jaguar player who had not scored the entire game hit two three-pointers to give Pope John Paul their first lead since the second quarter. 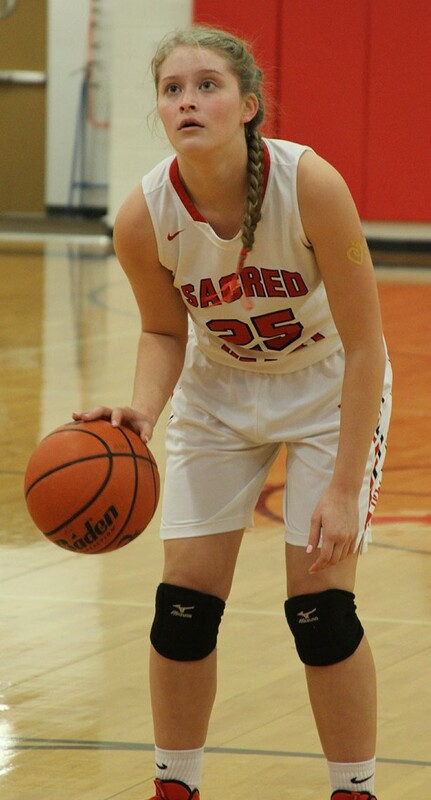 The Cardinals turned up the pressure on defense, and Lillian Balart '22 stepped up for an injured Eva Fenasci '19 at the point guard position. She scored four points to bring the Cardinals back within reach. Gabriella Mehaffie '19 picked up a loose ball and scored to put the Cardinals within one point with only eight seconds left to play. Pope John Paul then turned the ball over, and the Cardinals got one more shot to score off an inbound play. With no timeouts left, the Cardinals needed to improvise. They saw an open teammate under the goal, but the Jaguars' defense was too quick to cover. The Cardinals were unable to score on the final play of the game. Adrianna Mehaffie '21 had a great performance, scoring six of the twelve first-half points and finishing with a total of ten points. Gabriella Mehaffie '19 and Lillian Balart '22 both finished with six points each.